Conserve water or get fined. Here's 8 ways to save water from your pool. Make sure you maintain the right chemical balance. If you don't know what you're doing and you use too much of the wrong chemicals, there's a good chance you are going to alter the proper chemical levels of your pool. You may need to drain your pool, and considering it's size, this could cost you thousands of gallons of water from a single refill. In Fresno, Clovis and the surround areas in the Central Valley, this is especially costly because of the fines we are facing both individually and on a city level, so please make sure your chemical levels are in balance. Always use a pool cover when the pool is not in use. Using a pool cover can conserve up to 30% more water from evaporation from your pool. This is a super easy step to take, and there are some automated versions you can install if you're older and don't feel like manually covering your pool every single time you get out. Even if your pool is in a shaded area, covering it will make a huge difference and could save you from costly fines. Lowing the temperature of your pool even a few degrees can make a huge difference on how fast your water evaporates. It may not be the most comfortable thing in the world, but if you are even the least bit concerned about lowering your water bill and conserving water, then take it down a few degrees. Just make sure you're active and the water temperature will feel just fine. Or if you're just floating around drinking martini's, lowering the water temperature shouldn't matter too much. This tip is pretty obvious, but there are plenty of pool owners that don't realize they even have a leak and need a repair. A small leak can cost you hundred or thousands of gallons per month, so make sure you either check it out yourself, or have a technician come out and check it out for you, and make the repair if necessary. Aeration is exposing something to air, and of course, fountains and waterfalls expose the water to more air than if it was surrounded by more water in the pool itself. We know how aesthetically pleasing fountains and waterfalls can be, but again, if you're concerned about saving water, turn them off. If you can't, then at least turn them off at night. Taking this precaution on a weekly basis can be time consuming, but in the long run will prevent a ton of backwash and cause less water to be pumped into your pool that's necessary. You can either do it yourself, or if you live in the Fresno/ Clovis area, hire Pool Service Fresno Ca to do this for you a lot more efficiently. 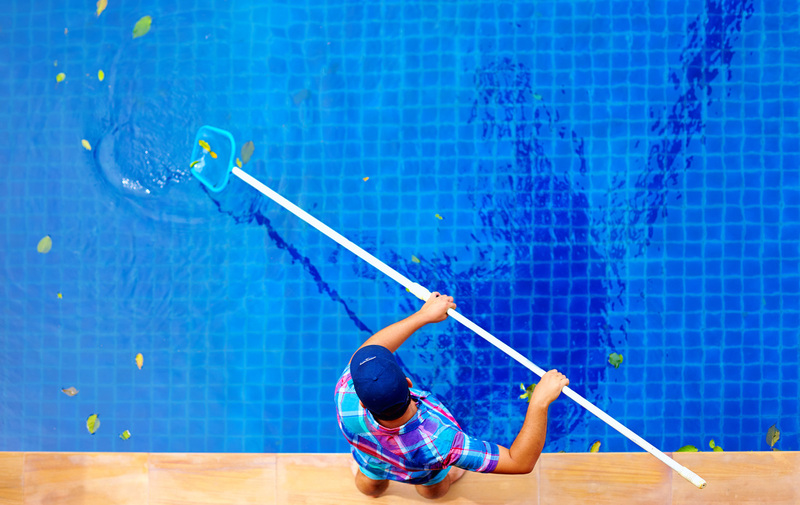 Ready to keep your pool in pristine condition? Call 559-869-4754 now or fill out the form to have one of our friendly customer service representatives contact you for a no obligation quote today!